"The Closet is Warhol's most existential film In the tradition of Sartre's No Exit and Beckett's Waiting For Godot. A man and a woman, played by Nico and Warhol sound-alike, the boyishly handsome Randy Bourscheidt (he seems to be around 20) sit in a closet and contemplate leaving, but never do. The film opens with the closet door shut. We hear the actors' voices. Bourscheidt sounds remarkably like Warhol - he speaks in a low tone, says "uhmm," and gives one word answers. In the beginning, they discuss how dark the closet is. Nico takes an almost maternal role and encourages him to relax. Eventually, they open the closet door to let more light in. For the remainder of the film, they share a sandwich and a cigarette, discuss the contents of the closet (it seems to be mostly ties), and discuss whether they should leave the closet. Nico wonders if there is any sexual attraction between then, but he is far too shy. In the final, he comments how she doesn't know his name. Nico asks if it's "Romeo" as in Romeo and Juliet? Randy says no, but adds 'I could get down on my knees.'" 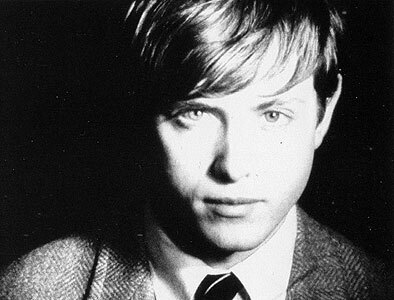 According to the Victor Bockris biography of Warhol, in 1966 Warhol caught one of The Closet's stars, Randy Bourscheidt, with Richard Rheem who Warhol was in a relationship with at the time. Warhol was on his way home with Gerard Malanga in December of that year when he spotted Richard and Randy walking together toward Warhol's Lexington Avenue home. When Andy saw both of them together he "turned bright red" and blurted to boyfriend Rheem: "What are you doing with him if you're my boyfriend?" The next day Richard moved out of Andy's flat and all the locks to Warhol's house were changed. (LD263) Warhol had originally met Rheem at a party in San Francisco for the screening of Warhol's film of Michael McClure's play, The Beard. 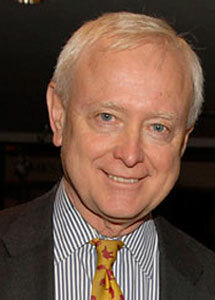 Bourscheidt is currently the president of the Alliance for the Arts in New York. Previously he worked in the City Planning Department before becoming the Executive Assistant to the Commissioner of Cultural Affairs in 1978 and then the Deputy Commissioner in 1981 - a position he held through 1987. He became the president of the Alliance in 1991.